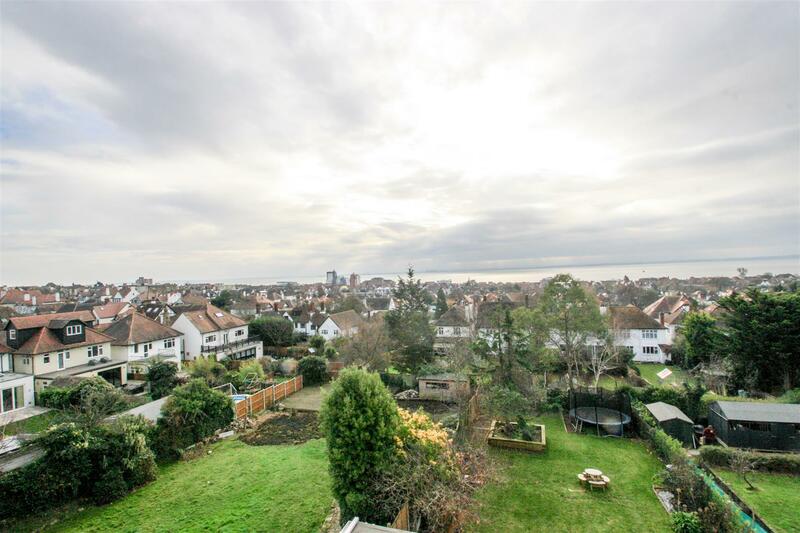 Substantial 6 double bedroom detached house renovated, extended and refurbished to create almost 4,000 sq ft of living space over 4 floors with Estuary views. 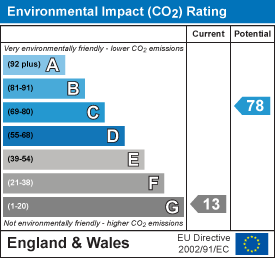 Integral garage, 100ft plus south facing rear garden and off-street parking for 4 cars. The ground floor has 4 reception rooms including stunning open plan lounge kitchen diner, play room, office & further reception room. 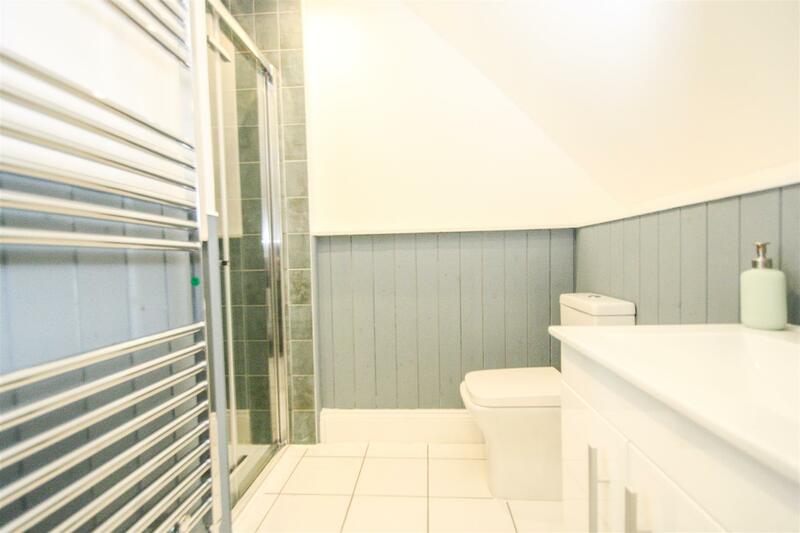 The ground floor also benefits from a large utility and shower room. 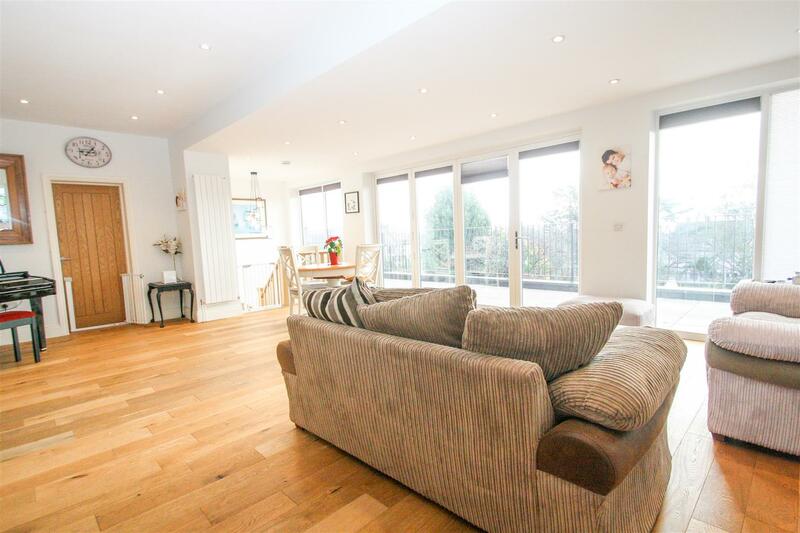 The newly constructed basement level has a beautiful garden room with bi folding doors. To the first floor is the master suite opening to a dressing room/6th double bedroom, south facing Juliet balcony & potential for en-suite. 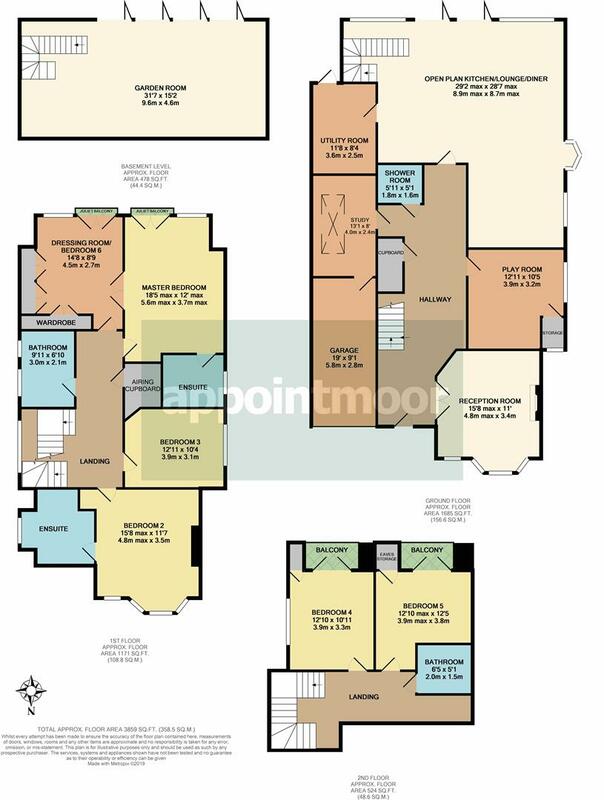 4-piece family bathroom & 2 further double bedrooms. 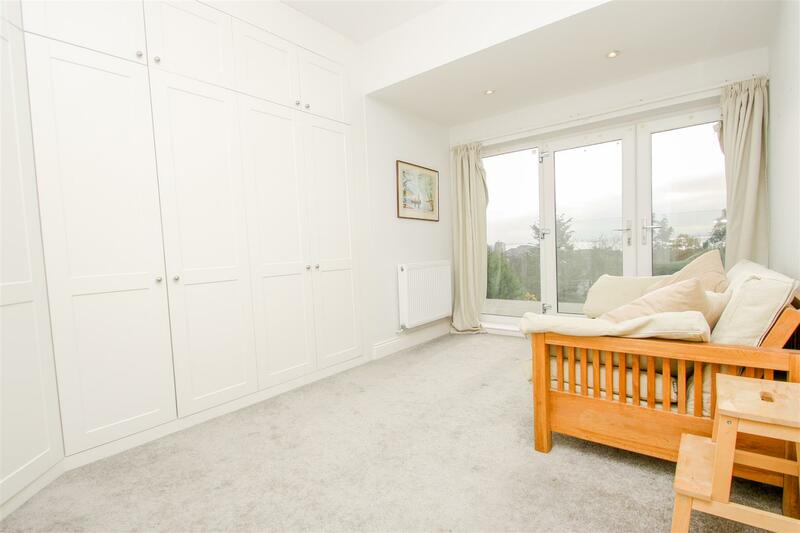 To the newly converted second floor are 2 double bedrooms with balconies and modern fitted shower room. 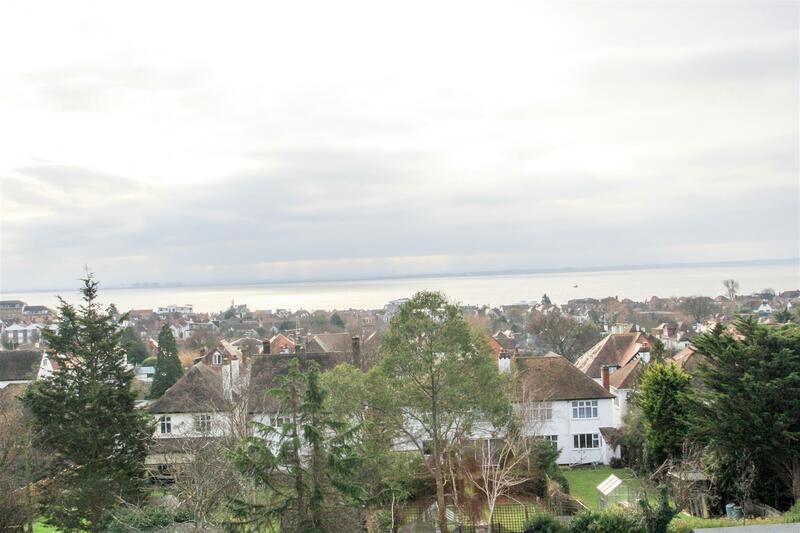 Perfectly situated for family living being just a short distance away from Chalkwell Park, train station and seafront. Large gravel driveway and frontage offering plenty of off street parking. Access to garage, side entrance to rear of property and front door with covered porch. Wooden front door with side and top glass panels leading into an impressive sized entrance hallway. 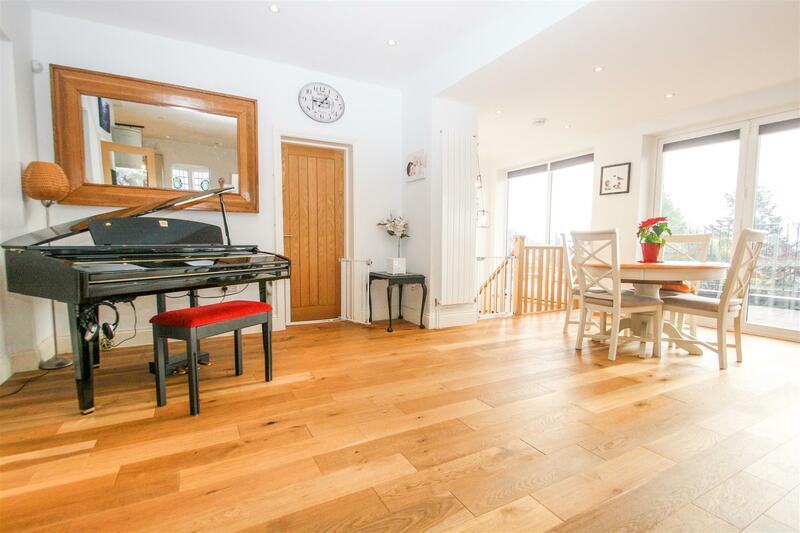 Neutrally decorated with wooden flooring, spotlights and doors to all rooms. 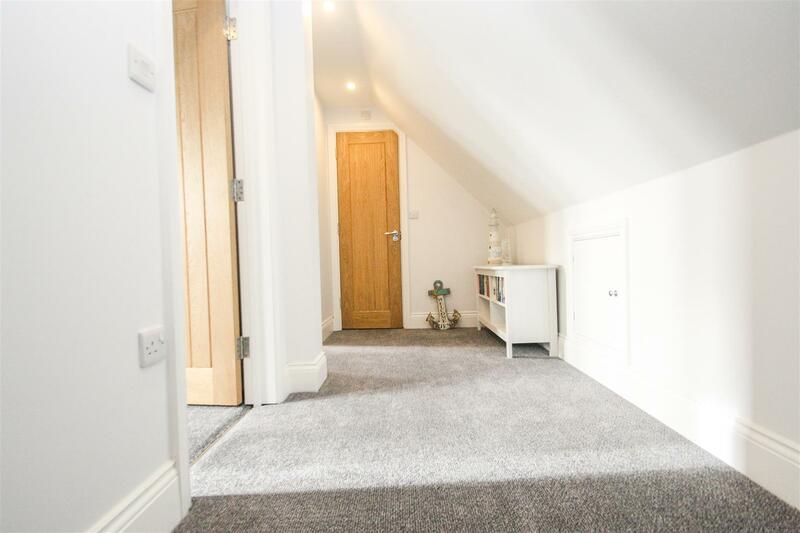 A carpeted staircase leads up to the first floor with under stairs storage. Charming front reception room currently used as an office, retaining a number of original features including glass double doors and feature fireplace. Bay window and further window to front aspect, with fitted floor to ceiling shelves to one wall. 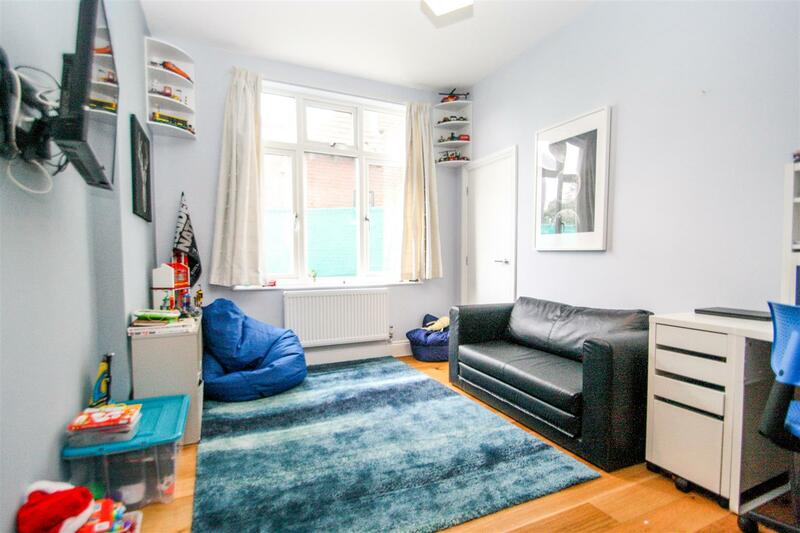 Good size reception room currently used as a playroom with wooden flooring, double glazed window to side aspect and door to storage space which has a window to the front aspect. 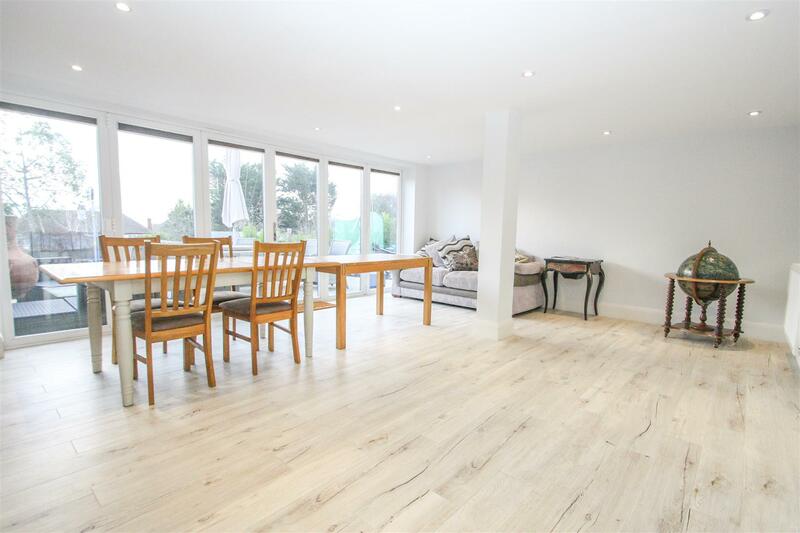 Stunning, spacious open plan living space neutrally decorated with wooden flooring and spotlights. Full length windows run the width of the room to the rear with bi-fold doors opening out onto a generous size terrace space. 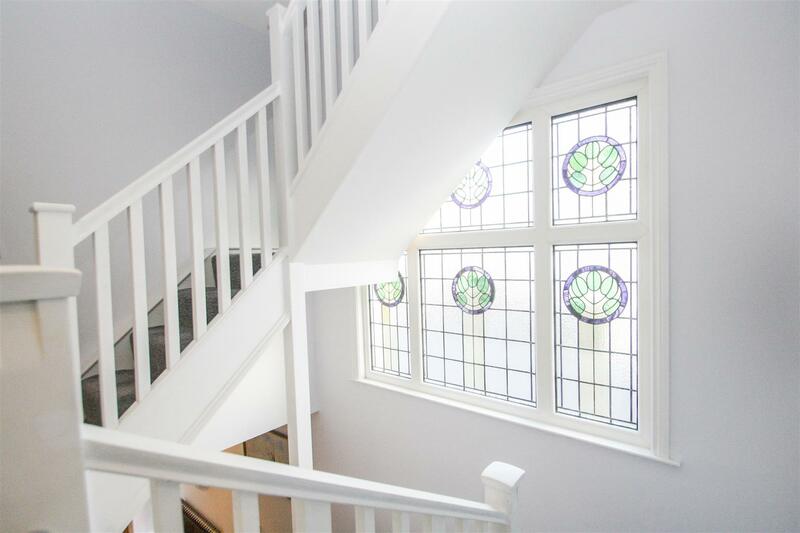 Remodelled recently this beautiful space retains charming original touches including a small half bay stained glass window to the side. 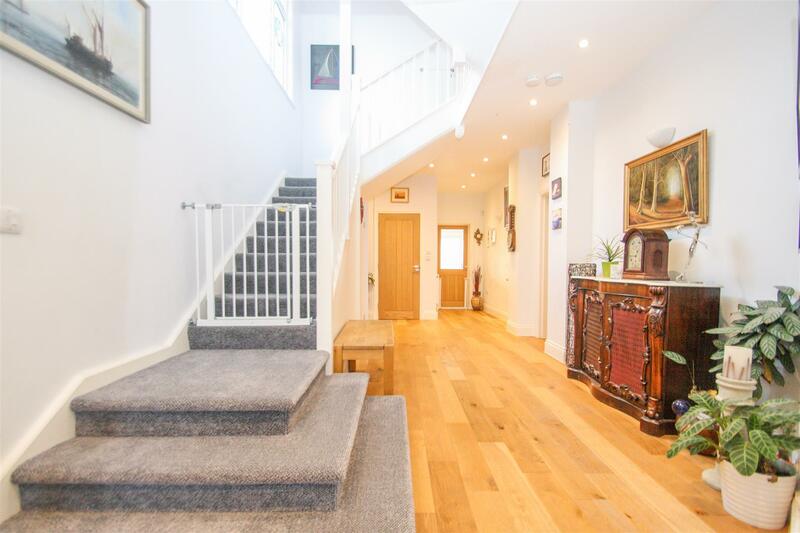 A wooden staircase leads down to the garden room and there is a further door to the utility. 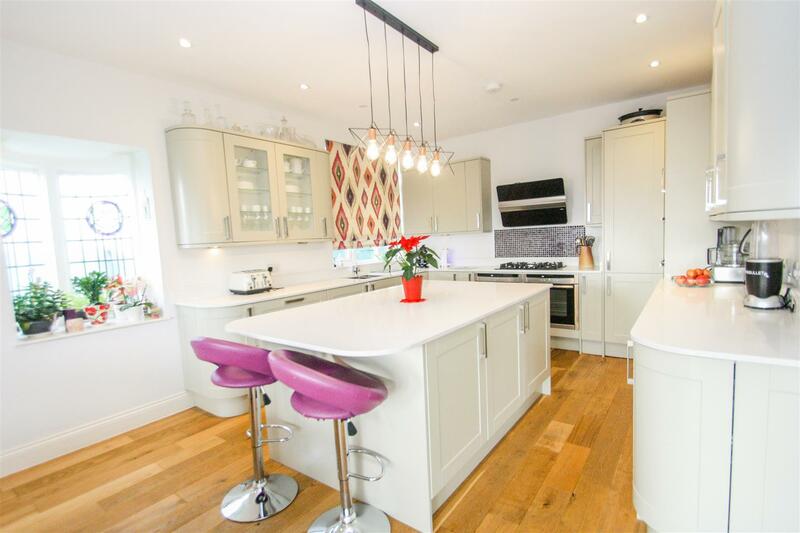 The kitchen area is bright and welcoming with a range of neutral wall and base units with complimentary work surface, mosaic tiled splash back to cooker, stainless steel sink/drainer, spotlights and feature hanging light fixture. 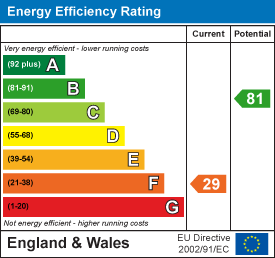 Fitted Neff appliances include double oven with 5 ring gas hob, fridge freezer & dishwasher. 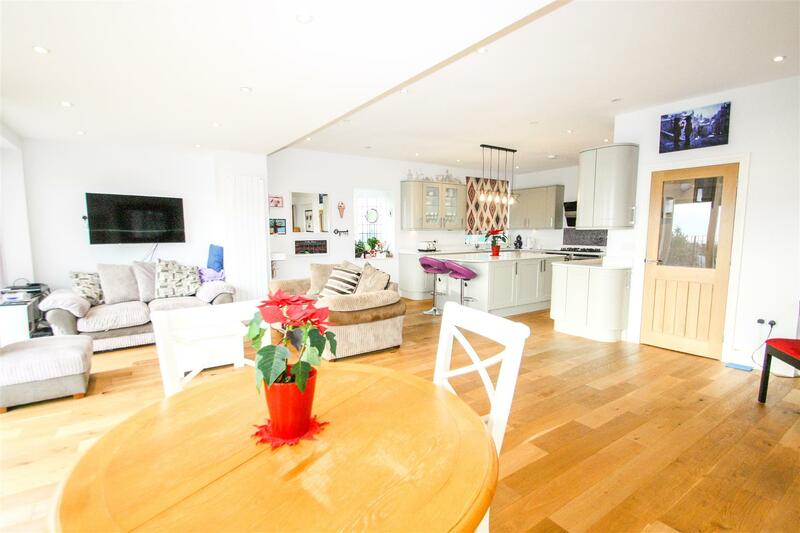 A large island in the same design with breakfast bar sits to the centre of the kitchen space. 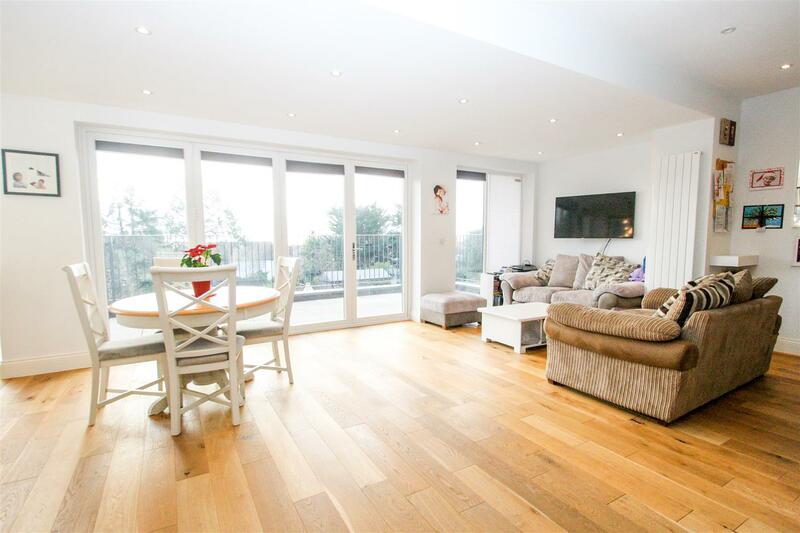 A fantastic addition to the property, the garden room is accessed by a wooden staircase from the open plan living space. 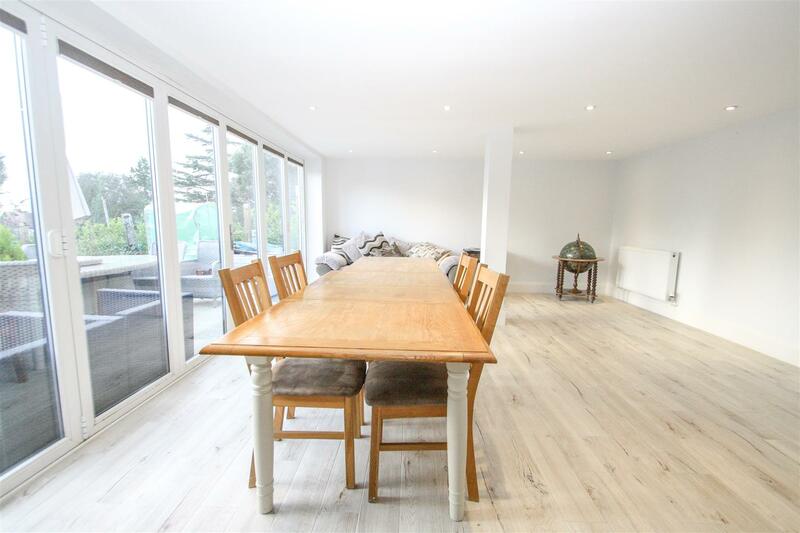 This 31ft long room is the ideal entertaining or family space with wooden flooring, spotlights, and floor to ceiling bi-fold glass doors. 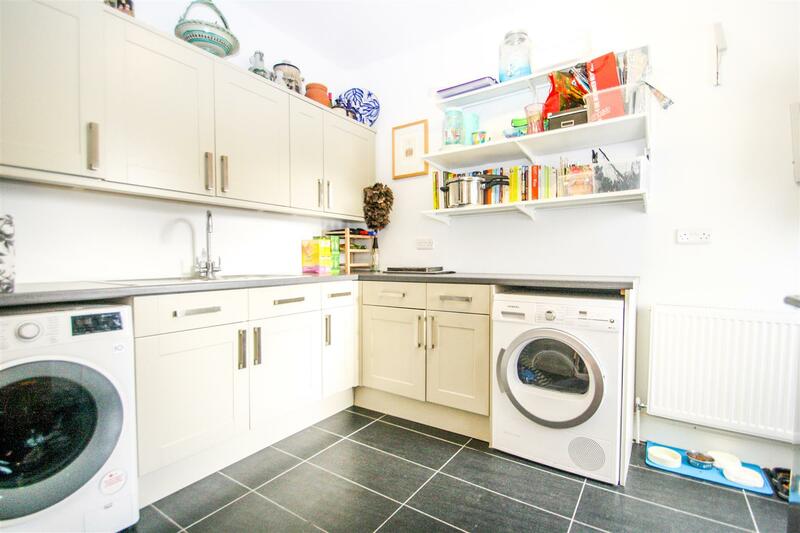 A wooden door from the open plan area leads to the utility room which has a tiled floor, a range of wall and base units with work surface, stainless steel 1 & 1/4 sink and drainer and space for washing machine and dryer. A double glazed door leads out to the rear terrace and garden. 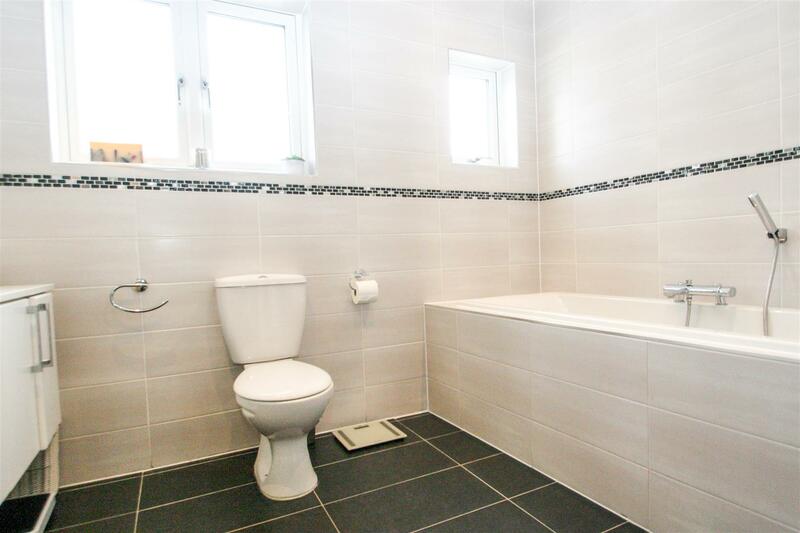 Essential ground floor cloakroom with tiled flooring, WC, shower cubicle and vanity unit wash hand basin. Wooden door from hallway and further door leading to garage. 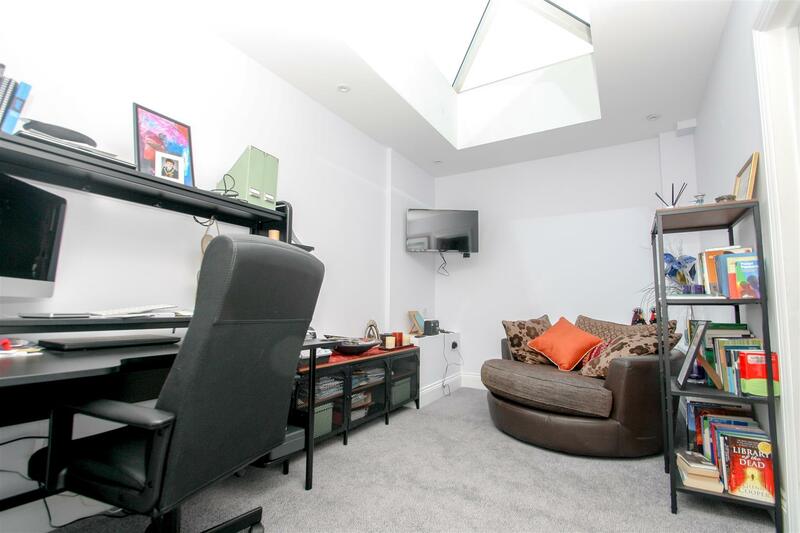 neutral decor with fitted carpet, spotlights and feature skylight. Medium sized single garage with up and over door and integral door into study. Fitted carpet & feature stained glass windows to side aspect. Large airing cupboard. 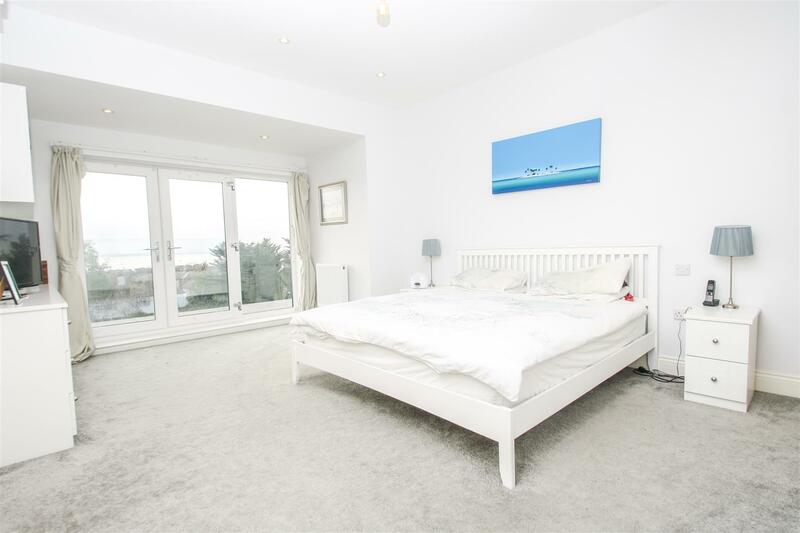 Impressive sized master suite to rear of house with south facing full length window and double doors to juliet balcony. 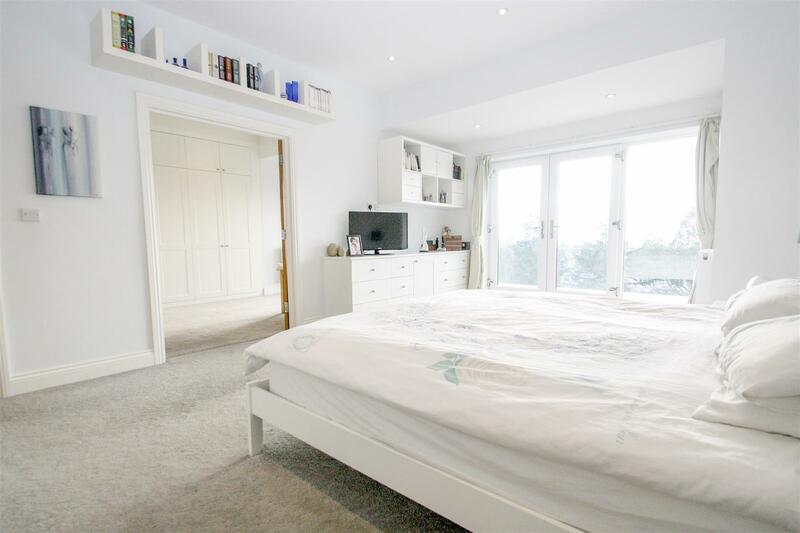 The bedroom opens with double wooden doors onto the dressing room, and a further door to the unfinished en-suite. 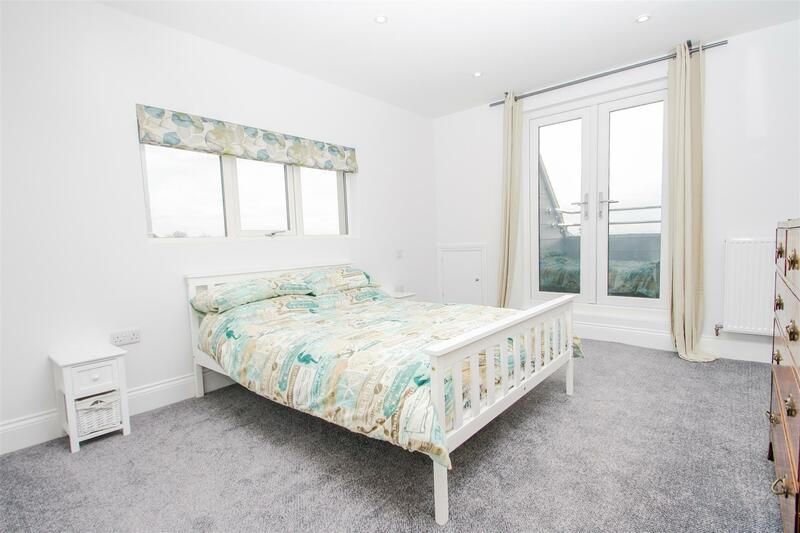 The master bedroom is neutrally decorated with spotlights and fitted carpet. Unfinished en-suite to master, plumbing in place. 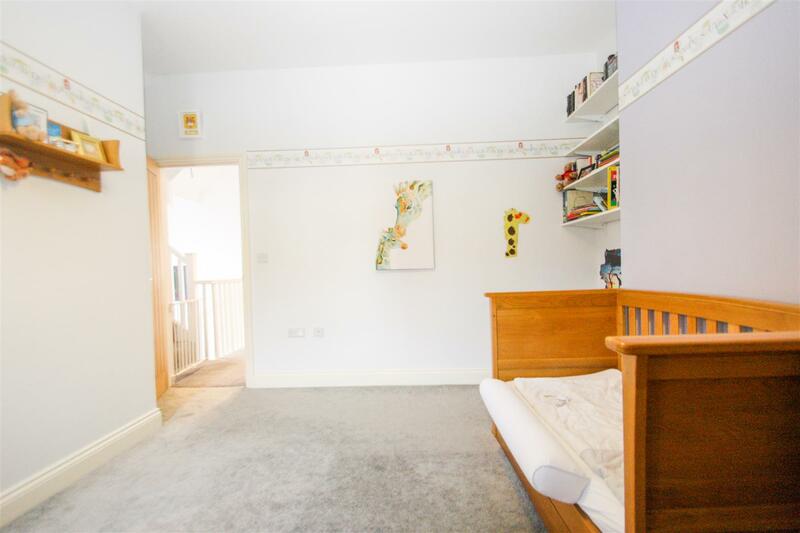 Currently used as dressing area from master but could also be used as a further bedroom. 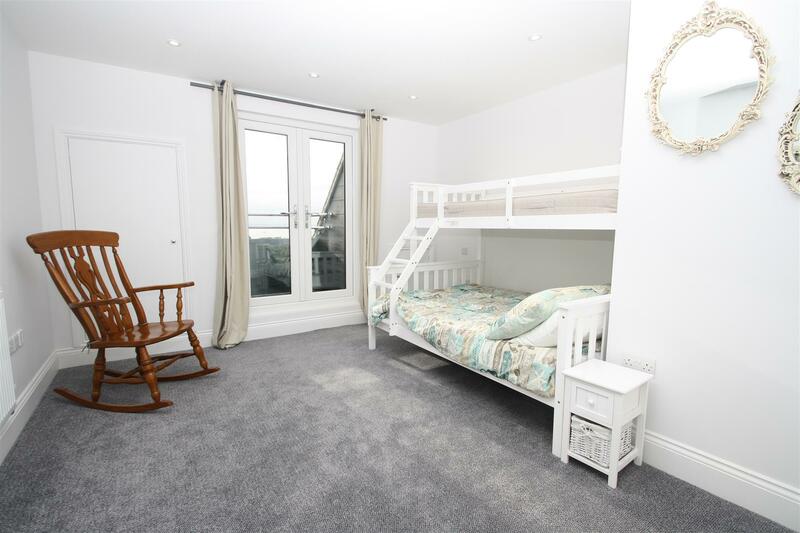 With fitted carpet, a range of fitted wardrobes across two walls and full length window and double doors to juliet balcony. Wooden double doors into master bedroom. 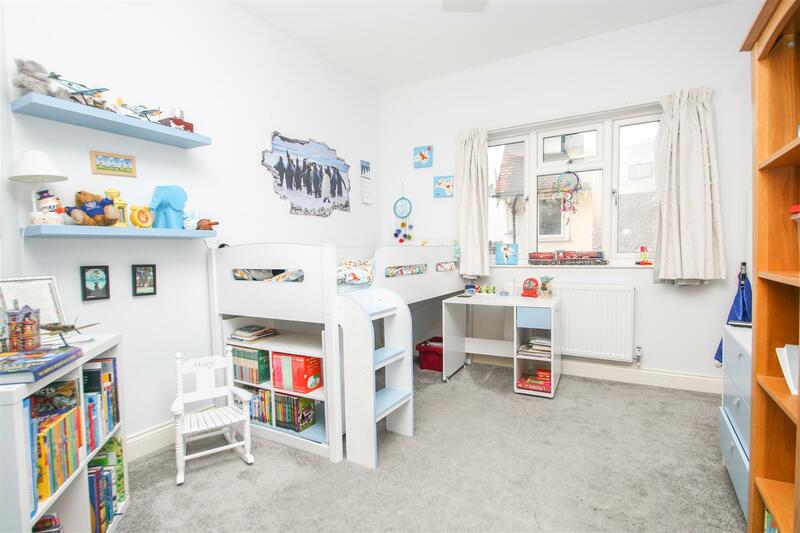 To the front of the property with bay window and chimney breast, bedroom two has fitted carpet and unfinished en-suite. En-suite to front aspect, plumbing in place. Double glazed window to side aspect and fitted carpet. Fully tiled modern family bathroom with white 3 piece suite of WC, vanity wash hand basin and bath with deck shower attachment. With obscure double glazed windows, spotlights and chrome towel radiator. Stairs to second floor with fitted carpet. Landing with sloped ceiling, eaves storage and doors to rooms. Double glazed window to side aspect and double glazed doors out onto balcony area with stunning views. Fitted carpet, spotlights and eaves storage cupboard. 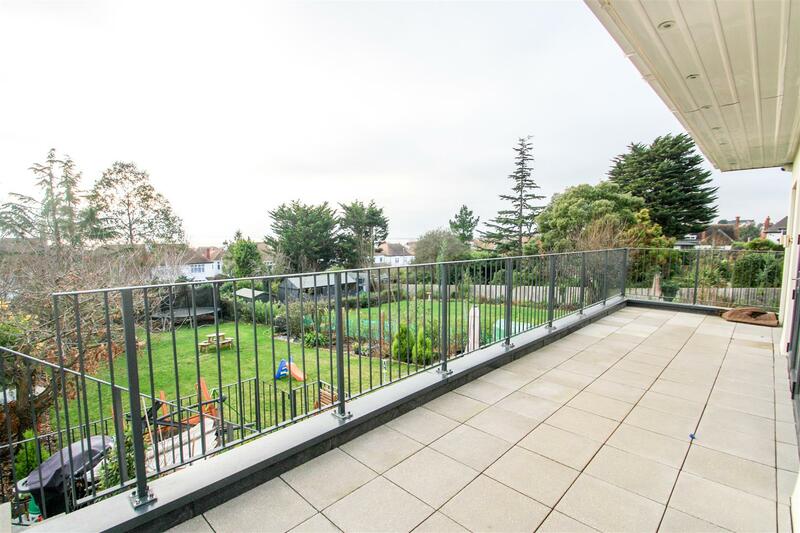 Double glazed doors onto balcony area with beautiful south facing views. Fitted carpet, spotlights and eaves storage. Half panelled bathroom with three piece bathroom of WC, wash hand basin and shower cubicle with glass door and rain head shower. Tiled flooring and chrome towel radiator. Large south facing rear garden laid to lawn with bedding and raised bed area to rear. Patio area from garden room and steps up to ground floor terrace.